The Bolt EV goes on sale in Canada in early 2017 with a base price of $42,795, although incentives can drop that into the low-$30,000 range. General Motors has made news in Canada with the Chevrolet Bolt EV’s claimed electric range of 383 kilometres, and now there’s a price attached it. A base model Chevrolet Bolt EV is $42,795 in Canada, a pre-tax price that parent company General Motors calls affordable. 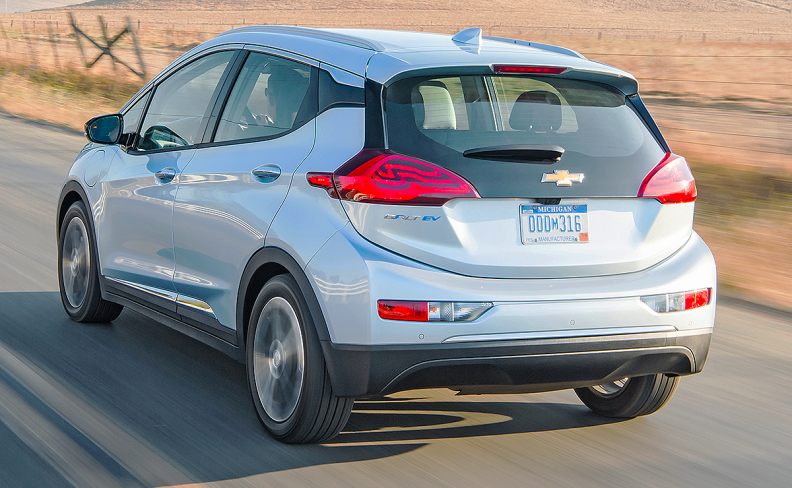 The MSRP doesn't include the $1,600 destination charge or take into account any eligible government incentive programs for electric vehicles that are available. GM claims the price for a base model Bolt is as low as $31,434 in Ontario, for example, if buyers take advantage of provincial incentives totalling $11,361. Quebec and B.C. are the only other provinces to offer incentives. There are no federal incentives in Canada. The Bolt is considered a subcompact car in Canada, where several gas-powered cars in that category can be purchased for less than $15,000, before tax and fees. The Bolt EV is a small hatchback that seats five, charges in nine hours and has a claimed range of 383 kilometres. By comparison, the Canadian MSRP for a base 2016 Nissan Leaf with about one-third the range (133 kilometres according Nissan’s website) of the Bolt EV is $32,698. It's also eligible for government rebates. 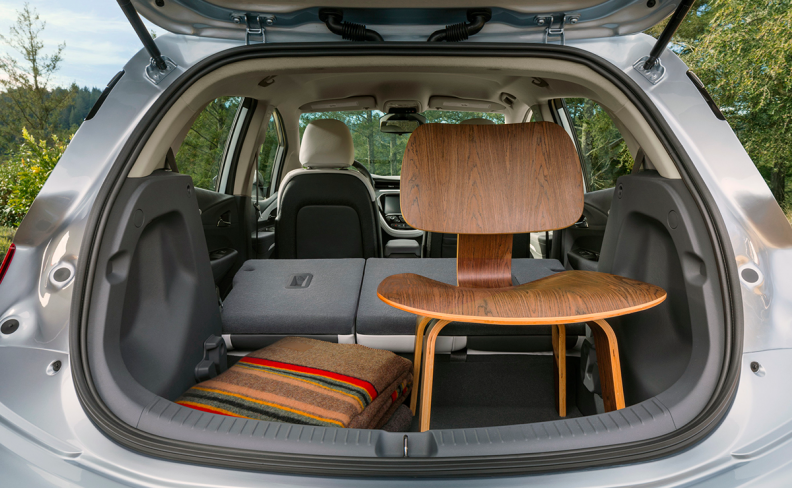 The base Bolt EV LT trim comes with a backup camera, 26-centimetre (10.2-inch) diagonal touch-screen, Michelin self-sealing tires and a Regen on Demand steering-wheel paddle, which allows a driver to slow down without using the brake pedal to convert that energy into electricity. The top Premier trim includes all the LT equipment plus leather seating, front and rear heated seats, surround camera and rear camera mirror. The Bolt EV has about the same cargo space as a Chevy Sonic with base price of about $28,000 less than the Bolt. Chevrolet’s website claims a recharge time of about 9.5 hours with a 240-volt outlet. In the United States, the Bolt has a starting price of $37,495 US, including shipping, making it $29,995 after a federal tax credit available to many buyers there. 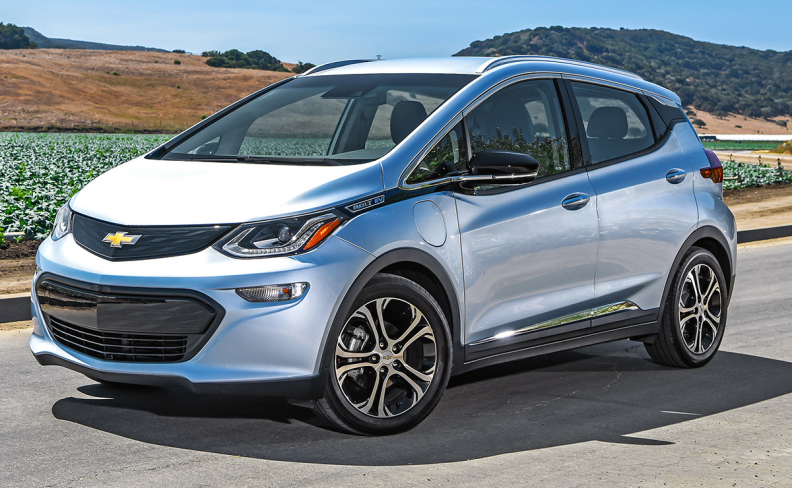 The Bolt EV is manufactured at GM's Orion plant, near Detroit, Mich., and is set to arrive at Canadian dealerships in early 2017.